Illuminating look at the occupation of Southeast Asia after WW2. As Gomer Pyle might say, "Surprise, surprise, surprise!" -- it wasn't the well organized model that our myths tell us it was. 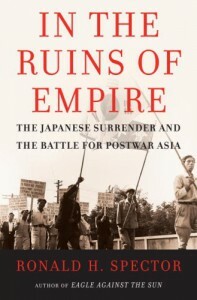 Outside of Japan, where there actually was a post-war occupation plan, it resembled our debacles in Iraq and Afghanistan.